Although I painted this jungle mural in Hamilton, Ontario, I also sell jungle wallpaper murals that ship for FREE within Canada and the USA. They are easy to hang and completely removable when you’re ready for a new look! 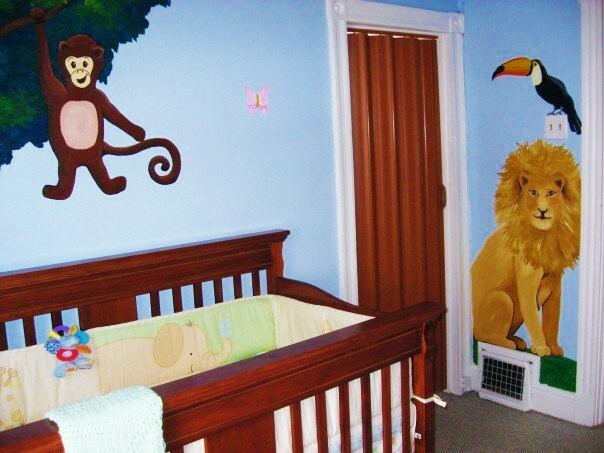 Thinking of adding a jungle mural to your kids room? Here are some photos of a mural I painted to give you ideas for your space. I painted a monkey hanging from a tree, hanging over a baby crib, to give the baby something to focus on when he wakes up from his nap. I love painting trees into corners in my murals – it gives them an almost 3D feel. The lion was painted low to the ground to give the baby a new pal to play and read books with. 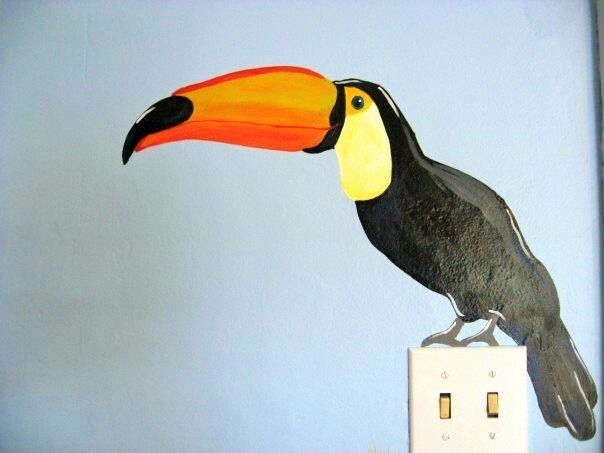 I painted the toucan on a lightswitch to add a splash of fun and make an easy way to teach kids to turn the lights off when they leave their room. Like this Mural? Hire Me! 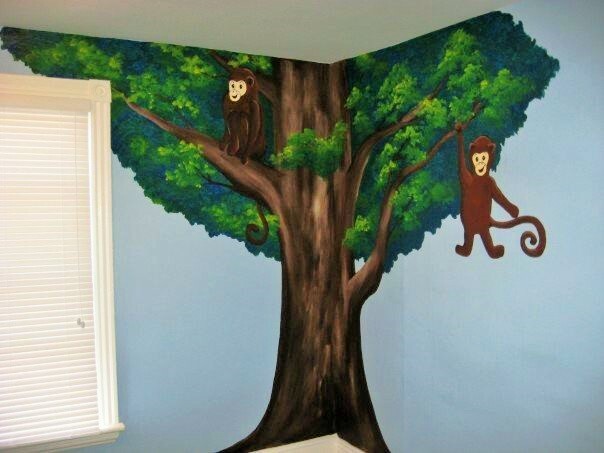 If you’re still thinking of a jungle mural for your kids room and you like my style, let’s work together! 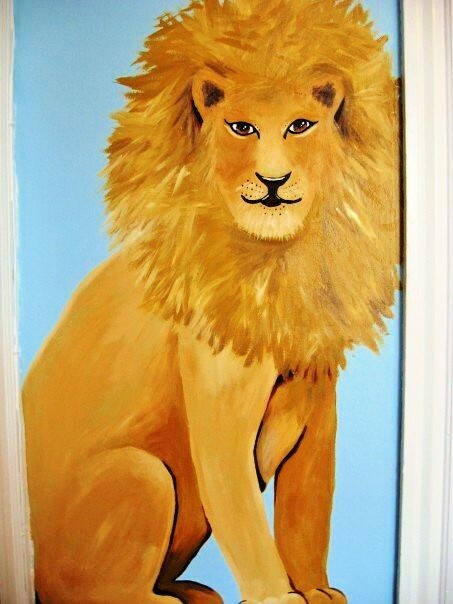 I’ve been hand-painting kids murals, from Toronto to Niagara Falls, since 2005. I even got to paint one for a Mike Holmes Show!